Just days after it announced the introduction of its new generation in-flight entertainment (IFE) system, Emirates won two major awards in Ireland. The two highly coveted awards, ‘Best Long Haul’ and ‘Best Business Class’ airline were revealed at the Irish Travel Trade Awards. The Irish Travel Trade News Awards, now in their 24th year, saw hundreds of industry professionals gather for a gala evening and awards presentation, at the DoubleTree by Hilton Dublin on 27th November. Accepting the two awards, Enda Corneille, country manager for Emirates in Ireland said, “This is an incredible accomplishment for Emirates, which has been operating in Ireland for less than four years. We are one of the largest airline brands in the world but take nothing for granted and consistently strive to deliver the best service for our customers time after time”. “Since launching in Ireland we have connected hundreds of thousands of customers to exciting destinations and these two awards are testament to a consistent quality of service together with an outstanding product, the dedication of the Emirates team in Ireland and what we like to call the Emirates difference” he added. The Emirates difference means a generous baggage allowance that starts at 30kg (66 lbs) in Economy Class, 40kg (88 lbs) in Business Class and a very roomy 50kg (110 lbs) in First Class; over 2,000 channels of entertainment on ice, Emirates’ award-winning inflight entertainment system, gourmet cuisine, fine wines and complimentary toys for younger passengers. First Class and Business Class customers enjoy lie-flat seats for the ultimate in on-board comfort; a Chauffeur-drive airport pick-up service; linen tableware; a selection of fine wines and Champagne and lounge access. Customers connecting from Dubai on-board the largest passenger aircraft in the world, the Airbus A380, can drop into the on-board lounge serving drinks and snacks where one can meet fellow passengers or relax in sociable surrounds. Emirates employs over 30 people in Ireland and almost 500 Irish nationals at its hub in Dubai and has grown significantly since its entry to the Irish market flying up to 22,000 customers, each month to Dubai and onwards to destinations such as Australia, New Zealand, South Africa, China and Hong Kong. Celebrating four years in Ireland, and 30 years since the foundation of the company in Dubai in 1985, Emirates is the only airline connecting the Irish market direct to Dubai, offering a twice daily service from Dublin. 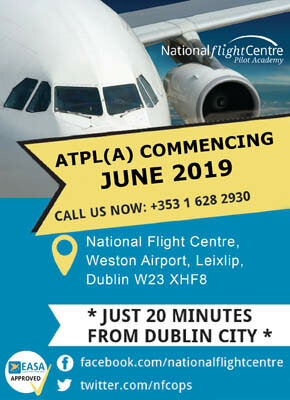 Over the winter, the route is operated by Boeing 777-300ERs, with the morning service, the EK161/2 arriving in Dublin at 11:20 and departing out to Dubai at 12:55. The evening service, the EK163/4 arrives in Dublin at 18:55 and returns to Dubai at 20:50. The Irish awards are just two of the accolades recently won by the airline including ‘Airline of the Year’ at the Arabian Business Achievement Awards, ‘Favourite Airline Premier Cabin Middle East’ at the Conde Nast Traveller Middle East Readers’ Choice Awards, and ‘Best Business Class’ and ‘Best Airline Lounge’ – at the inaugural Middle East Ultimate Luxury Travel Related Awards (ULTRAs). In addition, Emirates SkyCargo, the air freight division of Emirates, was announced Supplier of the Year at the Kuehne + Nagel Awards. From eight category winners selected from over 110 entries, Emirates SkyCargo was awarded overall Supplier of the Year, in recognition of its understanding of the needs of each of its customers. Kuehne + Nagel Group is one of the world’s leading logistics companies with around 66,000 employees, in more than 1,000 locations, across over 100 countries. The company’s awards honour excellence in service provision to the logistics and freight forwarding industry. In addition to passengers on its double daily direct service from Dublin, Emirates provides a 25 tonne cargo capacity, per flight. The airline supports Ireland’s export industry transporting products including perishable seafood, foodstuffs, pharmaceuticals and electronic equipment, to Dubai and onwards to almost 150 destinations, most of which require quick and efficient transit time to their final destination. Earlier on 10th November, SkyCargo’s new state-of-the-art cargo terminal at the Logistics District in Dubai South, was officially inaugurated by His Highness Sheikh Ahmed bin Saeed Al Maktoum, Chairman and Chief Executive of Emirates Airline and Group. The new facility further establishes Dubai as a leading global air cargo and logistics hub. Named Emirates SkyCentral, the cargo facility is the home of Emirates SkyCargo’s fleet of 15 freighter aircraft, and was officially opened on the side lines of the Dubai Air Show. Located 77 kilometres (47.85 miles) from Dubai International Airport, in close proximity to a dedicated corridor to the Jebel Ali Port and Free Zone, cargo is moved 24/7 by truck, between the two airports, via a bonded virtual corridor. Since Emirates SkyCentral first became operational in May 2014, the movement of cargo between the two airports has become a seamless process, with a transit time of just five hours, between the arrival of goods to their departure from freighter to belly hold and vice versa. Earlier on 18th November, Emirates announced the introduction of its new generation in-flight entertainment (IFE) system, as part of its commitment to continual product enhancement. The latest features include larger screens in First Class and Economy Class and three times the media storage – offering passengers an even greater choice of content on board. The new products can be found on Emirates’ newly-delivered Boeing 777-300ER and Airbus A380 aircraft. Passengers travelling in First Class will have, what is described as, “a more immersive viewing experience” to look forward to, with IFE screens increased from 27 to 32 inches (685-813 mm) – the 40% increase makes it the largest screen on any aircraft. “We continually upgrade our fleet, as well as our products and services on board to ensure an unparalleled travel experience. In addition to the technology, Emirates also puts emphasis on curating our award-winning inflight entertainment system and we always aim to surpass industry benchmarks. Our new generation ice system elevates the viewing experience, and offers passengers the most comprehensive movie and TV selection on any airline,” said Patrick Brannelly, Emirates’ Divisional Vice President – Customer Experience. Economy Class passengers can also look forward to ‘immersing themselves’ in Emirates’ selection of inflight programmes, with the industry’s largest in-seat screens at 13.3 inches (338 mm). These can also be found on Emirates’ latest two-class configured A380. The Business Class screens, at 23 inches (584 mm) wide, remain one of the industry’s largest for its class. With three times the media storage on the new IFE system, ice Digital Widescreen now has 2,186 channels of on-demand entertainment and 1,230 music channels, which amounts to about 4,300 hours of entertainment. This includes over 50 full TV box sets and close to 600 movies. Reflecting Emirates’ global and diverse customer base, the enhanced system also features a multilingual interface in 14 languages. Other new features on ice includes enhanced handset controllers, USB ports and PC power outlets on all seats across the three cabin classes to allow passengers to charge their own mobile phones and portable devices. This year, Emirates clinched its 11th consecutive SKYTRAX World Airline Awards for ‘World’s Best Airline Inflight Entertainment’. Emirates’ next generation IFE system is complemented with connectivity on board. The airline offers Wi-Fi on 142 aircraft, more than half of its fleet, and Live TV now on 75 aircraft. Emirates began offering free Wi-Fi on board last year and have invested $15 million (around €13.8 million) to offer its passengers data connectivity in 2015. From January to September this year, 2.6 million Emirates passengers connected to Wi-Fi on board – a four-fold increase from last year, reflecting the strong consumer demand for connectivity services while travelling. Other product enhancements include new micro fibre optic carpet in the First Class cabin which helps to reduce the effects of jet lag, and private suites in the centre aisle have been widened by 1.9 inches (48 mm). Emirates has also released its newest range of toys, the ‘Fly with Me Animals’ for infants and toddlers and specially designed ‘Fly with Me Lonely Planet’ activity bags, for those aged between six and 12 years old. The new toys are now available on board and making their debut are: Lewis the Lion from Africa, Peek U the Panda from China, Enrico the Monkey from Latin America, and Leila the Camel from the Middle East. Four new ‘Fly with Me Animals’ will be introduced every six months. The animals will be featured across three product lines: the ‘Travel Buddy’ which comes with a plastic toggle allowing the toy to be hung in the car, on a pram or in the cot; the ‘Carry Buddy’, a dual purpose toy and blanket; as well as ‘the Magnetic Sketcher’ for young ones to express themselves creatively. The ‘Fly With Me’ magazine on board has also been revamped to feature the animals. The activity-filled publication is produced exclusively for Emirates’ young flyers. “Over 4 million children travel with us each year, which makes young travellers among our most important customers. We know how challenging it can be for parents to keep their children occupied and happy on flights. We’ve ensured that every aspect of the travel experience is catered for, from toys and kids’ entertainment to special meals on board, and even family check-in areas. We are committed to ensuring a smooth travel experience for families,” said Adel Al Redha, Emirates’ Executive Vice President and Chief Operations Officer. In addition to the ‘Fly with Me Animals’, Emirates has partnered with Lonely Planet to create activity bags containing travel content tailored for children. The ‘Fly with Me Lonely Planet’ products come in four variations – two specially designed Kid’s Retro-Style Rucksacks, and two Kid’s Cool Bags. These products will be refreshed every 12 months. Each bag features different content to encourage a sense of adventure in young travellers. These include fold-out world maps, travel journals, plastic drink bottles, cards with world facts and various educational books exclusive to Emirates. Families can look forward to even more enhancements by the end of the year. This includes a new range of kid’s greeting cards to celebrate special occasions on board, and refreshed photo cards for cabin crew to capture special moments with an instant Polaroid camera. Meal times on board have also been given extra attention. The special meals offered to children aged between two and 12 years old will be served on newly designed meal trays featuring the iconic Emirates cabin crew and pilots. On the ground, Emirates continues its exceptional family offering including a dedicated family check-in area in Dubai and priority boarding for families across all airports. In Emirates lounges across the network, the ‘Fly with Me Animals’ will also be featured in two other unique product lines. The ‘Cuddle Buddy’, a soft comfort blanket for infants, and ‘Fly with Me Animal’ Tin Cases with magnets and activity sheets for toddlers. Unique ‘Fly with Me Lonely Planet’ cases will also be given out to older children. These toys and activity kits are in addition to the dedicated kids play area which feature arcade quality games and PlayStation terminals, in both First Class and Business Class lounges in Dubai. On 1st December, the Emirates Group celebrated the UAE’s 44th National Day, with a spectrum of activities across the organisation. At Emirates Group Headquarters and across its offices and facilities in Dubai, departments gathered for a dynamic programme of activities that were enjoyed by both Emiratis, as well as their expat colleagues. His Highness Sheikh Ahmed bin Saeed Al Maktoum, Chairman and Chief Executive of Emirates Airline & Group commemorated UAE National Day with a cake-cutting ceremony at the Group’s Headquarters, which was followed by local Emirati dance performances. A purpose-built heritage house containing a ‘majlis’ made its debut at the Group Headquarters’ atrium, draped in the colours of the UAE Flag. The heritage house aims to showcase the UAE’s rich traditions and history. On the afternoon of 4th November, Emirates Airbus A380-861, A6-EOP, was delivered Hamburg Finkenwerder – Dubai as the EK7380, bringing the A380 fleet up to 68 aircraft. This was the first aircraft delivered in 58J/557Y configuration and has 18% more seats than other Emirates A380s. It is also the first time that an A380 does not have first class. This new 615 seat configuration is also 14% higher than the largest A380 configuration in active service, which is with Air France (538 seats). However, Air France is retrofitting these aircraft to include premium economy, which will reduce seating to 516. On A6-EOP, one of the 15 to be delivered in this configuration, Emirates is removing the first class cabin (with its on-board showers), as well as some business class seats, to make room for the additional economy seats. The aircraft are being initially deployed to Copenhagen and Bangkok, destinations with high leisure, but limited premium demand. Since the delivery of A6-EOP, two more A380-861s have been delivered, A6-EOQ on 19th November and A6-EOR on 3rd December, bring the total to 70. Separately, Emirates Flight Training Academy, developed by Emirates airline to address its growing need for pilots, signed an agreement with Cirrus Aircraft and Embraer to order 27 new aircraft. The order includes 22 single-piston engine Cirrus SR22s and five twin-jet Embraer Phenom 100E, which are valued at more than $39 million (around €35.85 million), at list prices. The aircraft, which will be delivered starting in 2017, will be used by cadet pilots, as they train to become fully-qualified commercial pilots for Emirates. In traditional cadet programmes, students move from single-engine piston aircraft to twin-engine piston aircraft before transitioning to jet airplanes. At the Emirates Flight Training Academy, students will move from the single-engine piston Cirrus SR22 directly to the jet-powered Embraer Phenom 100E. This eliminates an extra step in becoming a commercial pilot and gives cadet pilots an enhanced curriculum during single engine training, as well as more experience flying jet aircraft before being trained as an official Emirates pilot. Overall, the programme including ground school, flying and simulator training lasts three and a half years. This order will also allow Emirates Flight Training Academy cadet pilots to receive, for the first time, 100% of their training in Dubai. Previously, cadet pilots underwent a majority of their training at a variety of locations overseas. In addition to consolidating education into one location in the Middle East, the new aircraft order also ensures cadets will have access to the youngest training fleet in the world. The Emirates Flight Training Academy will initially focus on Emirates’ existing cadet pilot programme for UAE nationals, with the aim to expand intake to other candidates in the future. Jim Lee Jim has had a life-long interest in military matters and aviation. Initially, he fused both of these interests together with a passion for military aviation, initially as a photographer. He has travelled extensively over the years and has been the guest of many European air forces, plus the air forces of the United States, Russia and others throughout the world. His first introduction to journalism coincided with an interest in the civil aviation industry was when he initially wrote for and later edited, ‘Aviation Ireland’, the club magazine of the Aviation Society of Ireland. Jim was a contributor to Flying in Ireland since its inception over 10 years ago and is now a key contributor to this site. He has also contributed items for a number of other aviation magazines and has produced a number of detailed contributions to Government policy documents, most recently the Irish Government’s White Paper on Defence. He is also deeply involved in the local community and voluntary sector and has worked both in local government and central government. If you enjoy reading www.flyinginireland.com, please consider donating to help keep this website online.